Lawyer William G. Colvin began his law career in 1979. 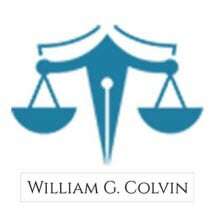 Located in Chattanooga, Tennessee, Mr. Colvin specializes in mass torts, such as defective drugs and medical devices. He also focuses on construction law. Mr. Colvin’s law firm has worked with clients affected by defective drugs such as Fen/Phen, Propulsid, Vioxx, and Bextra. He continues to work with clients affected by silicone gel breast implants, and talc-based ovarian cancer. Mr. Colvin’s law firm has extensive experience in multidistrict litigation (MDL), consulting and collaborating with counsel in dozens of states. The firm has represented both plaintiffs and defendants in many areas of construction law. While many attorneys focus solely on either residential or commercial construction law, Mr. Colvin practices in both areas and has represented property owners, general contractors, subcontractors and insurance companies. He has handled cases that include mechanic’s liens, project delays, and construction disputes and defects. William G. Colvin is an adjunct faculty member at the University of Tennessee at Chattanooga, and teaches in the construction management degree program. He is a member of numerous bar associations and is an invited member of many professional associations. Mr. Colvin is active in his church and enjoys spending time with his daughters, sons-in-law and grandchildren.